From its founding, Los Angeles has been a victim of urban experiments and endless real estate developments disguised as community building. L.A. Forum’s new publication, After The City, This (is how we live), gives an important insider view into the real world of real estate development in Southern California. Using the structure of a screenplay to tell the story, architect Tom Marble takes the reader inside the minds of the people on both sides of the development conflict – those seeing land as a commodity for profit, and those who see it as a valued resource for all to enjoy. 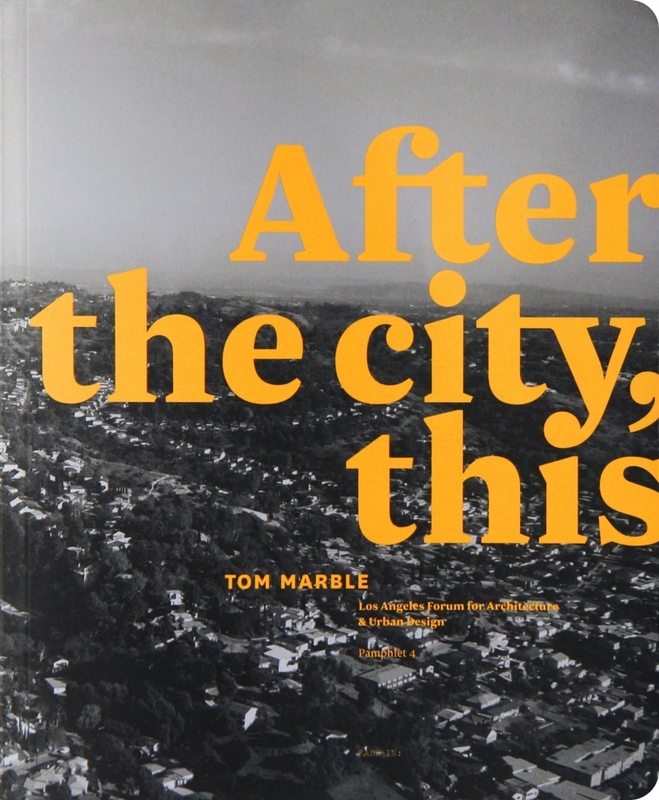 Having spent time negotiating on both sides of the conference table, Marble goes beyond the usual debates over New Urbanism vs. Sprawl vs. Whatever-The-Next-Thing-Is to share his unique perspective, shedding light on the goals and motivations of all parties embroiled in defining how we live in a post-urban, consumer-driven economy. A total of 32 color images accompany the text to further engage the reader in the pivotal dialogue regarding the success or failure of the master-planned community.